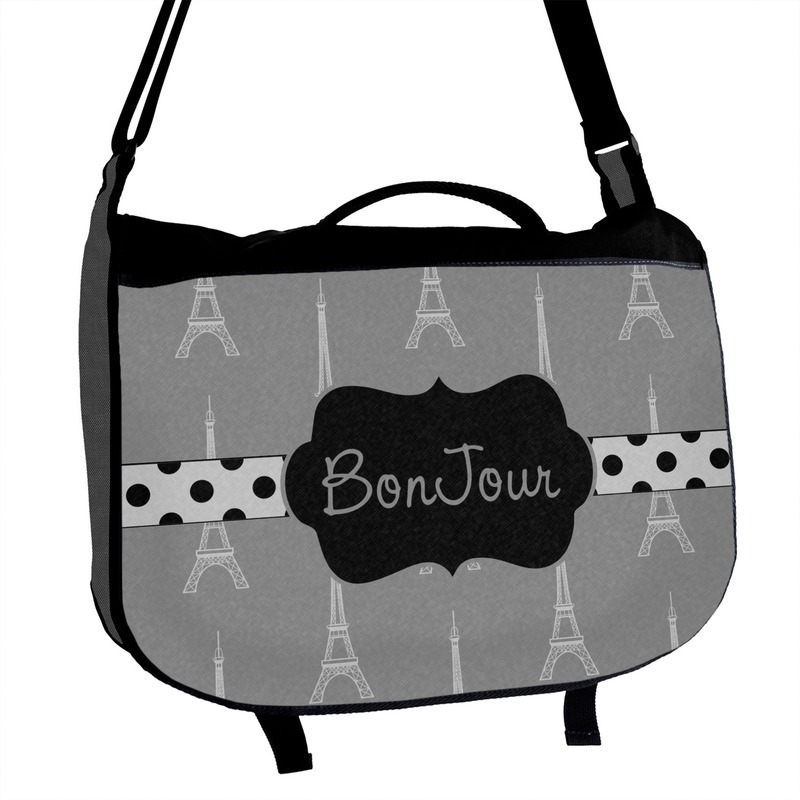 2" wide adjustable strap; adjustable from 29" to 55"
Messenger bags are the perfect kind of bag to carry. Take it to work or school with books or your computer. Take it when you need just that little bit of extra room that a purse couldn't hold. Best part? They look great on guys AND girls! You will always find a good use for a messenger bag. These bags are a great investment! 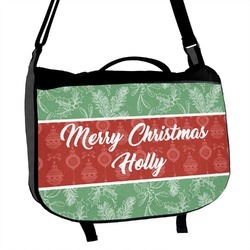 They are made of durable canvas-like fabric while your design is printed on the front flap. It measures at approximately 17" x 11" x 5" and will fit up to a 17" laptop. There's even a padded slot inside to hold your laptop! On the back there is a zipper closure to store a few extra items. Flip your bag open and you will see two sturdy buckles to ensure a secure flap. You will also see five slip pockets to fit cords, headphones, and any other small items. There is also one zipper pocket with slots for pens inside. The strap to hold your messenger bag is 2" wide and can be adjusted from 29" to 55" long. It's great for any height! Go into our design center to start customizing your bag. Go through our thousands of patterns and backgrounds to get the perfect inspiration to design what's in your head. Choose the perfect graphic, monogram, text, and more! Change everything if you like. If you need any help give us a holler! We are always happy to help. Check out our Bags section where you'll find other great options like our Backpack! Be sure to stop by our Office section where you'll find laptop sleeves to keep your laptop extra safe! The Quality in this bag is amazing. I just ordered it, I haven’t used it yet. But you can see the quality. The padded area for you computer is padded on both sides and suspended from the bottom of the bag, and thick not flimsy. And the options to personalize it is wonderful. This is a “must consider” when looking for a Messenger bag.